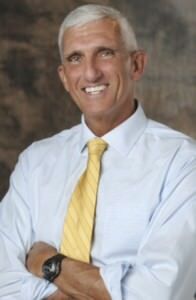 Leaving his beloved US Army in January 2013, Lieutenant General (retired) Mark Hertling is now leading programs for Global Partnering, Physician Leadership and Health Performance Strategy at the innovative Florida Hospital in Orlando. Mark served for almost four decades in the US Army. At the time of his retirement, he was Commanding General of US Army Europe, where he led over 40,000 soldiers, cared for over 100,000 family members, and partnered with the armies of 50 countries in the European theater. Mark also served as the Deputy Commanding General for Initial Military Training, where he initiated a reform of the training, values, and skills programs for new recruits and newly commissioned officers in the Army. Two of those reforms were the “Soldier-Athlete Initiative,” and the “Fueling the Soldier Initiative,” both designed to improve the physical conditioning and nutritional health of new Soldiers. During his military career, LTG Hertling commanded units at every level. He commanded training organizations at the Army’s National Training Center (Ft Irwin, California) and the Joint Multi-National Training Center in Grafenwoehr, Germany. He was an assistant Division Commander in Baghdad in 2003-4. He also commanded the Army’s 1st Armored Division (1AD) in Germany, and for over fifteen months in combat when that unit was deployed to Northern Iraq as the base for Task Force Iron. This was one of three deployments of over 36 months LTG Hertling spent in combat. Receiving a Bachelor of Science from the U.S. Military Academy in 1975, LTG Hertling is a graduate of the Army’s Staff College, the School of Advanced Military Studies, and the National War College; he holds Masters Degrees in History and International Relations from these institutions, and he also earned a Master’s Degree in Exercise Physiology from Indiana University, which he gained prior to teaching in the Department of Physical Education at West Point. LTG Hertling’s multiple military honors include 3 awards of the Distinguished Service Medal, six awards of the Legion of Merit, five Bronze Stars, Purple Heart, and the Army Commendation Medal for Valor. He also received the Gold Cross of Honor of the German Army, the Romanian Land Forces Emblem of Honor, and the Polish Soldier’s Medal of Honor. He is a life member of the Purple Heart Association, Phi Kappa Phi, and he is a Distinguished Eagle Scout. In addition to working with Florida Hospital, Mark was appointed by President Obama to be one of 25 members of the President’s Council on Fitness, Sport and Nutrition. He also serves as an advisor to the non-profit organizations “Mission:Readines,” “World T.E.A.M. Sport,” and “Operation Gratitude. He also acts as a military analyst for CNN. Mark speaks and acts passionately on the subjects of leadership, national security, and health trends.